WAGO has increased the application scope for its second generation of PFC200 controllers with the addition of EtherCAT capability. The EtherCAT system is configured via special configuration dialogs in the e!COCKPIT Engineering Software. These specify that the controller should function as an EtherCAT master, what field devices should be addressed, what form the topology of the network takes and what parameter values should be sent to the slaves on start-up. Besides the protocol stack in the form of a library, the runtime system also provides components for direct access to the Ethernet interface and diagnostics. 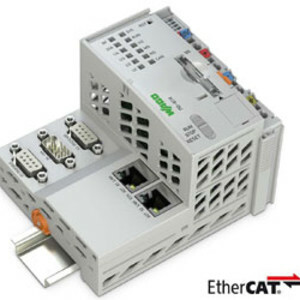 Advantages include using the PFC200 as an EtherCAT master, controlling WAGO slaves with the EtherCAT fieldbus system such as the EtherCAT fieldbus coupler of the WAGO-I/O-SYSTEM 750 and also controlling additional field devices, which can be declared in e!COCKPIT via a standardised device description. Running the PFC200 controller as an EtherCAT master requires a licence in e!COCKPIT, assigned to the controller and loaded into the controller together with the project. No other installation steps are required. 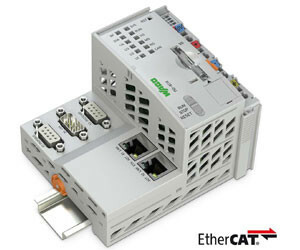 I am interested in WAGO PFC200 controllers with EtherCAT .